Well! I’ve been away from blogging for a while! An unintended extended break that started with school holidays and then after that, I’ve been enjoying having evenings free to catch up on a bit of Netflix. Rest is the most important thing now, as my health issues continue with no real resolution in sight. My doctors all disagree on what’s going on and how to treat it. It seems to be some kind of autoimmune issue, although that’s also a matter of debate. It’s seriously frustrating. On another issue entirely, Coeliac SA & NT’s biennial gluten-free expo is coming up on 17 and 18 June. 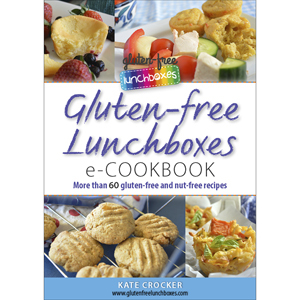 It’s called Gluten Matters and for all the details, click here. I’ll be doing cooking demonstrations on both days and also a presentation on managing your gluten-free child’s social life. If you’re there, please swing by and say hello – it’s always great to meet the people who cook my recipes! 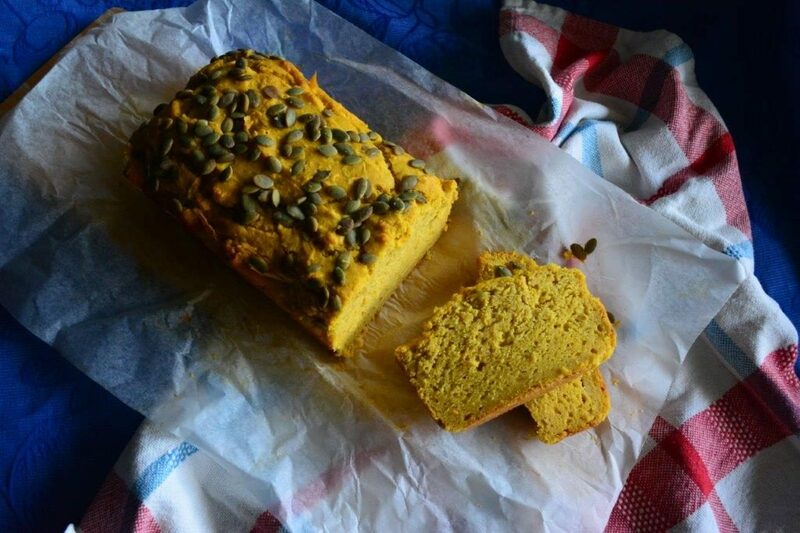 Anyhow, here’s a new recipe for you – Gluten-free Pumpkin Bread. It’s great for lunches – serve a slice of pumpkin bread with vegetable sticks and a protein such as cold cooked chicken breast. It’s also delicious straight out of the oven and with a lovely bit of butter. Yum! This recipe can be adapted to suit all tastes. The apple gives it sweetness and the curry powder gives it a lovely little bit of flavour, but not too much! (I used Keen’s Curry Powder.) Leave it out if it’s too much for your little ones. To make it dairy free, simply use coconut milk instead of cow’s milk. You can wrap individual pumpkin bread slices in plastic wrap and freeze. It will defrost beautifully. Preheat oven to 180° Celsius (conventional oven) or 160° Celsius (fan-forced oven). Grease and line 24 x 14 centimetre loaf tin. Beat eggs for 5 minutes in the large bowl of an electric mixer. Line a small slice tray and spread pepitas over the tray. Put in oven and bake for 5 minutes. Set aside and allow to cool. Into the bowl with the eggs, add the apple and pumpkin. Sift in the tapioca flour, sorghum flour, brown rice flour, psyllium husk, baking powder and curry powder. Add a pinch of salt, the oil and milk. Pour batter into loaf tin. Sprinkle pepitas evenly over the top. Bake for 65 minutes or until a skewer, when inserted, comes out clean. It’s all about the Keen’s 😉 Good luck with your presentations. Oh this so yummy and delicious too and I’m loving of this colours!! !Thanks for sharing.